These services are also available to the public (travel costs may apply for some locations). This successful social enterprise allows Clubhouse members to participate in meaningful paid, award wage employment while providing needed services to the community. Not only does the Wonderful Services team provide you a high quality service to all customers at a great price, but by choosing Wonderful Services you are helping provide maintain employment and resources for members of Canefields Clubhouse. There are just some of the ways you will be helping the community by choosing Wonderful Services. Currently Wonderful Services is able to provide its services to the Brisbane Southside, Logan and Gold Coast area. 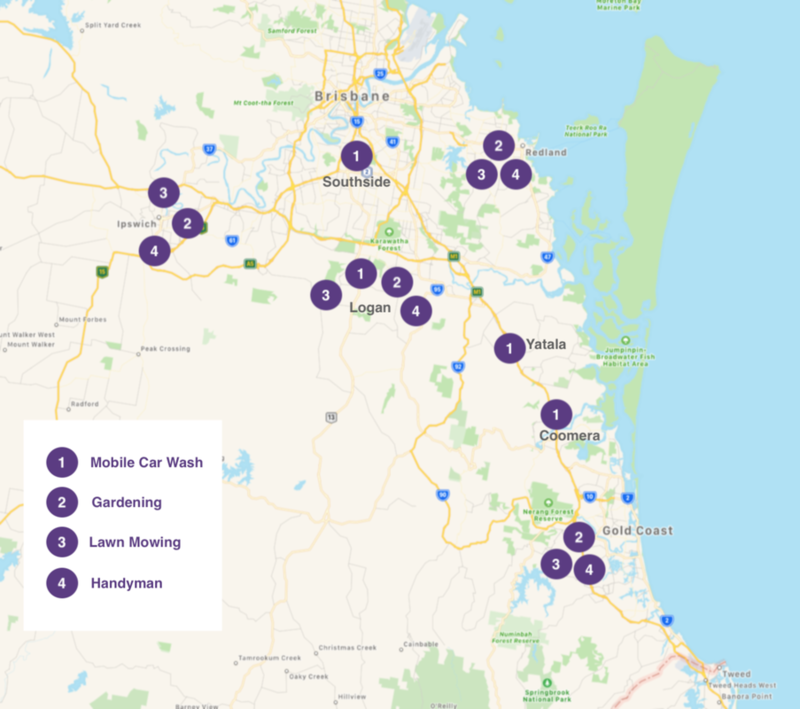 Including Ipswich, Yatala and Coomera. For service coverage inquiries please contact us or the STAR team(for Gardening, Lawn Mowing, Handyman and Domestic services only).